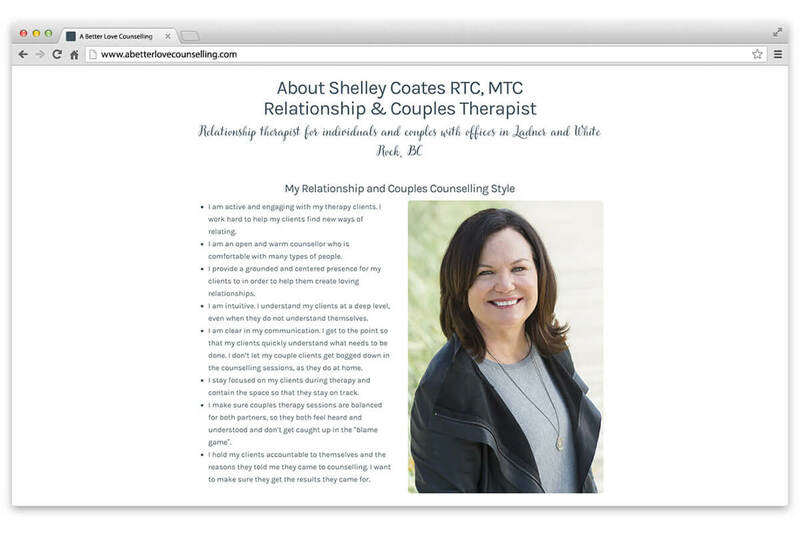 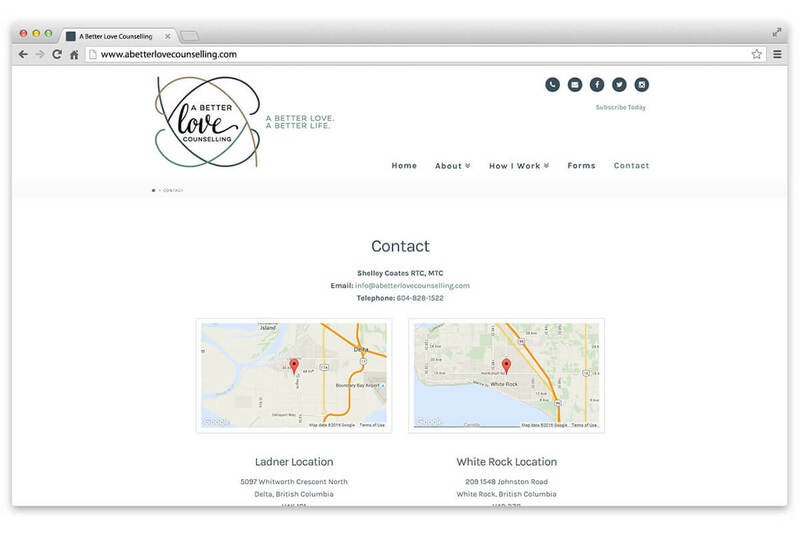 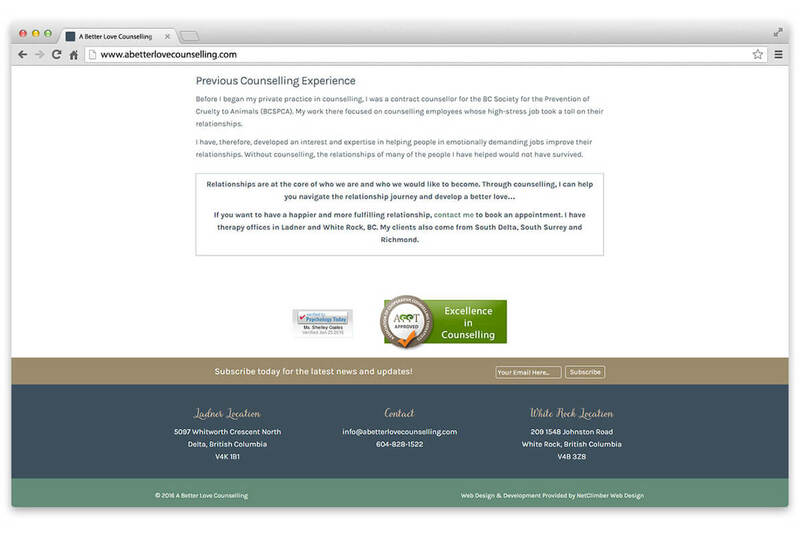 A Better Love Counselling | NetClimber Web Design Inc.
Shelley Coates, a Relationship and Couples Therapist, came to NetClimber with a special request, to turn her vision into a reality. 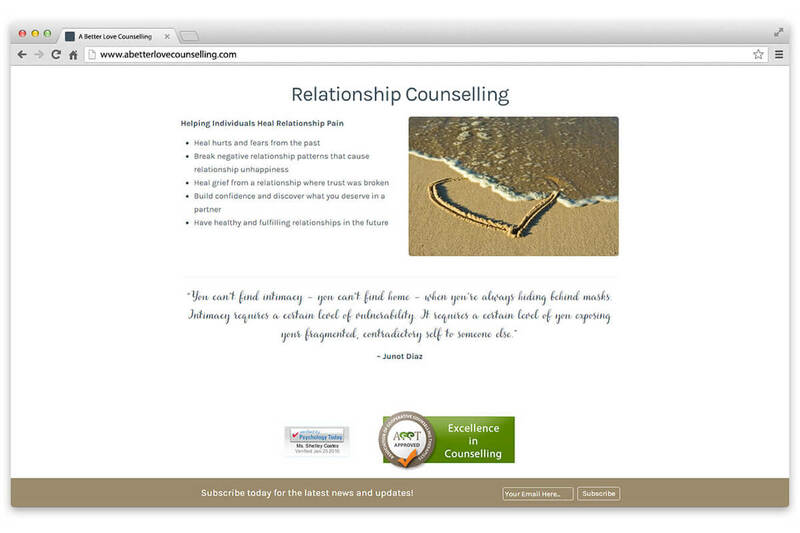 Shelley needed a site that was going to reflect her brand and style as a Relationship Counsellor, and needed a website where she could relate to her clientele and engage them by creating a clear and welcoming online presence. 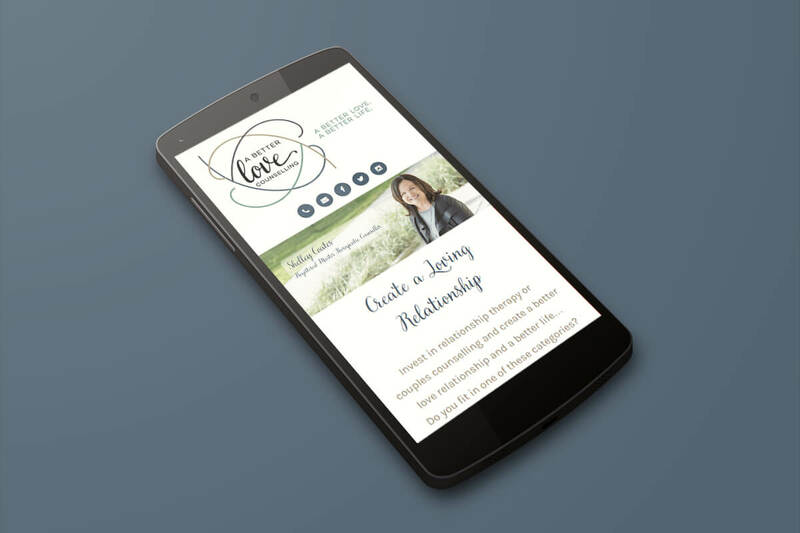 After working with Indalma Creative to come up with her visually stunning brand, NetClimber Web Design carried on the branding by using a clean layout, effective white space, combined with the beautiful brand colors to help set the tone of the site.